Joseph is a certified clinical mind body hypnotherapist and wellness coach serving the San Francisco Bay Area. With a background in biomedical engineer, Joseph has developed an exclusive program for smoking cessation and addiction. For over 20 years he has also helped thousands of people suffering from to much stress, disease, allergies and obesity. He offers one on one sessions and workshops. 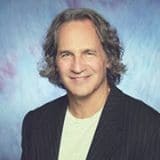 He has appeared on Legal Incite Talk Radio and teaches Continuing Legal Education courses for attorneys all over California on emotional distress and addiction control. Last updated by Mark Barrus at July 30, 2017 .